Learning to modify your favourite recipes to make them Low FODMAP may seem like a daunting task, but it is easier than you think! Here is another example of a high FODMAP recipe that has been simply adapted to make it low in FODMAPs, without any loss of flavor! 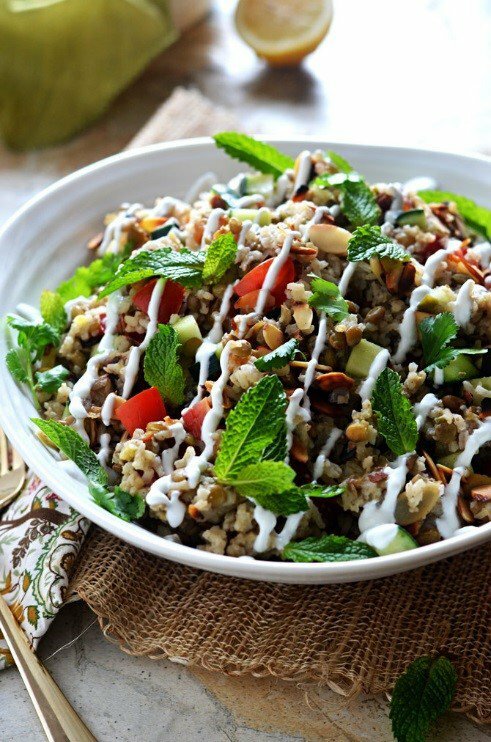 Pre-cooking the rice and refrigerating overnight before making this salad also boosts the resistant starch content - giving you a prebiotic boost! Serve on its own as a light vegetarian meal or serve as a side to meat, fish or eggs for a wholesome lunch or dinner option. Simply omit yoghurt or replace with a suitable dairy free alternative to make this recipe vegan.